Welcome to the first Séance 25 update newsletter for the Harryprice.co.uk website. This initial issue is really a marker for how far the site has got in the first two months of its existence. Progress since the beginning of December last year has been slow but steady and I'm pleased to say that the overall structure of the website is now in place and all of the various sections have an established page with varying amounts of content. I feel that a website devoted to Harry Price and his work really has to be a 'work in progress' because he packed so much into his life and my main aim when starting this was to establish a worthwhile resource of information about him which by necessity has to be as detailed and accurate as possible. As far as the techy computer side of the site is concerned, this is my first venture into website territory & I would welcome any comments that visitors to the site have in this area, especially if there are any glaring errors in terms of sizing of the pages & resolution needed to see them clearly. At present the site has still not been picked up by search engines like Google and Altavista but apparently it can take some time for this to happen so hopefully this will not be too long in happening. In terms of adding content to the site, now that each of the sections is up and running my own intention is to visit each of the areas in turn and add material starting with the Biography section for which I am at present working on a biographical overview of Harry Price's life which will be posted soon. The Gallery, Bibliography and Links sections will be updated out of sequence really whenever material becomes available. I am very pleased and grateful to have had contributions to the site already. 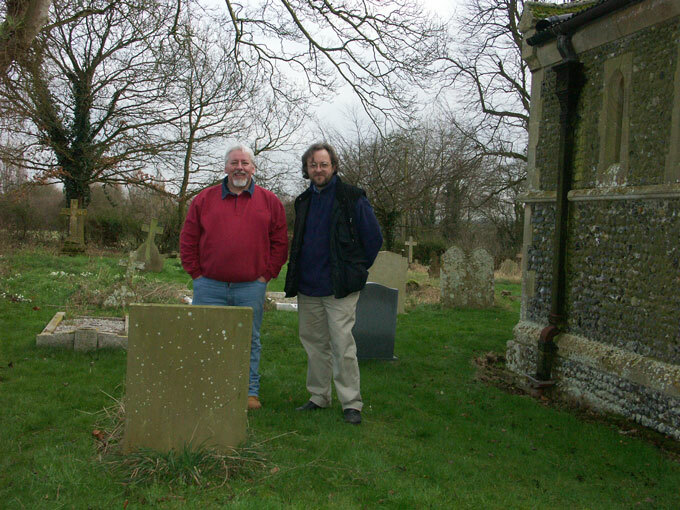 Andrew Clarke of the Foxearth & District Local History Society has kindly contributed a short essay on his views on Harry Price and Borley Rectory for the Modern Borley section - Click here to read Andrew's article. Andrew himself made an appearance on the Sky One channel in the middle of January, taking part in an hour long documentary programme on Harry Price called Ghosthunter. The programme covered several of Price's high profile cases including the Brocken Experiment, Gef the Talking Mongoose, Rudi Schneider and of course Borley Rectory, and there were also some extracts from the talking film that Price made in the early 1930s which showed Price in the rooms of the National Laboratory of Psychical Research. Veteran Borley enthusiast Eddie Brazil has contributed a review of the Sky One programme for the website which is included in the Biography section - Click here to read Eddie's review. I would like to record my thanks and appreciation here to Eddie for his enthusiastic support and encouragement for the website project. The Harry Price Paranormal Research Group was formed as a tribute and idea to carry on the work of Britain's father of modern ghost-hunting and paranormal investigation. We intend to look at cases old and modern and put each under the microscope and spotlight of logical, reasoned argument in the hope we can find an answer to a phenomena which still today baffles and intrigues science. We hope that you who join us in Harry Price will contribute to this continuing, fascinating idea that there is a knowledge outside the realm of science and "everydayness" that we have yet to understand. My thanks go to Andrew Clarke for putting me in contact with John Randall who has carried out his own research into Harry Price's life and background. John delivered a lecture to the Ghost Club in 2000 in which he detailed his re-evaluation of Price after having read the late Ivan Banks's book The Enigma of Borley Rectory which casts doubts on the validity of the work of Price's last biographer Trevor Hall whose collection of essays on aspects of Harry Price's life and career was published as Search for Harry Price by Duckworth in 1978. John has stoutly defended Price against the allegations brought by Hall in his book, as well as those published in 1956 by Hall together with Eric J. Dingwall and Kathleen M. Goldney in the S.P.R. report The Haunting of Borley Rectory. Material which John has kindly allowed me to see means that I will have to revise sections of my short biography of Price which is in progress as well as the essay on Price's biographies which is currently on the site. Eddie Brazil and I, together with three of my young sons, spent a pleasant day at Borley on 30th January to take photographs of the Church and the former site of the Rectory for the Modern Borley section of the website. The intention is to present the contemporary locations together with the historical photographs in a 'then and now' format like the photographs shown here of the Rectory taken on the morning after the fire of February 1939 with Eddie's shot of the Rectory Corner as it is today. We also visited Liston where Harry Price and the Rev. Henning buried the human remains allegedly found in the ruins of the Rectory cellars in 1943 - my eldest lad took the photograph of Eddie & I on the spot where Harry Price once stood! 1. 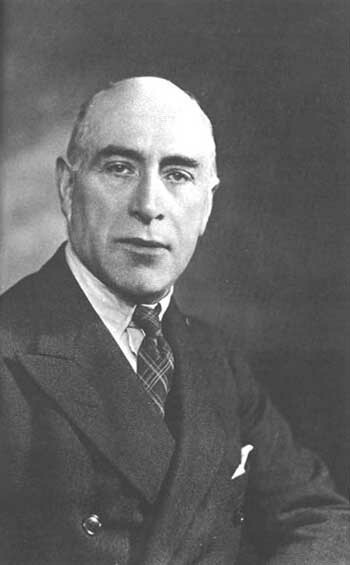 Portrait of Harry Price from the Dennis Wheatley Library of the Occult edition of Paul Tabori's Harry Price - The Biography of a Ghost-Hunter (Sphere Books). 2. 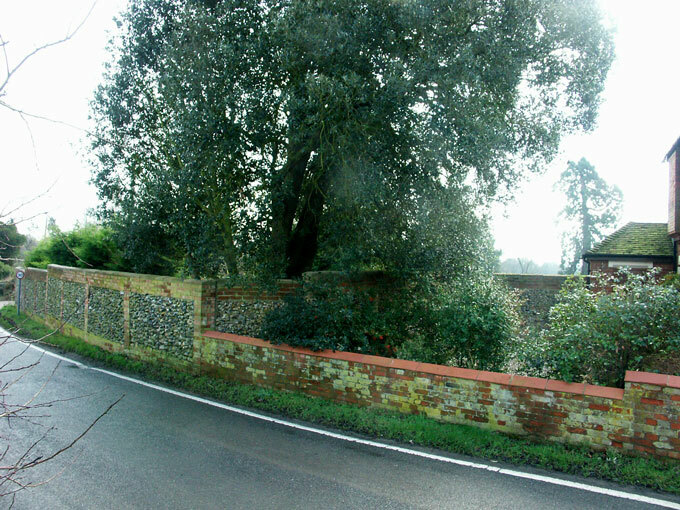 The Rectory Corner as it is today (Photograph by Eddie Brazil). 3. 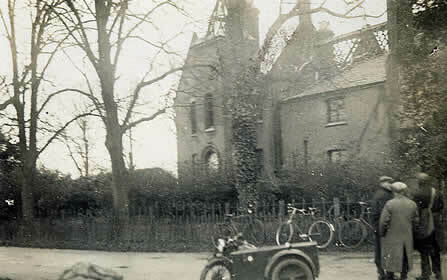 Borley Rectory on the morning of 28th February 1939 (Photograph - Mary Evans Picture Library). That's about all for this first update for Harryprice.co.uk. The intention is to try and issue an update for the site on the first of every month. Comments and suggestions on the above are most welcomed. The general e-mail address for the website is mailbox@harryprice.co.uk . Also any articles or contributions on any Price-related issues will be gratefully received.